I will now explain the basics to networking your xbox and pc. I have left explanations for just about everything i can think of.. STATIC and DHCP ENABLED.. Either way it should help you all. Also, im not trying to use techinical terminology so please do not have a go at me guys. :) lol.. Im just trying to make it clear and simple for our newbies. I hope you all enjoy the site i have struggled to keep online and maintain with the help of all our other HQ admins. XBOX -->> PC (Directly connect from xbox to PC). - You need whats called a cross-over cable.. This cable is totally different to a normal router network patch lead (RJ45). - You need to be using a normal RJ45 network patch lead.. This is NOT a CROSSOVER CABLE. 3. Turn on your XBOX with all cables firmly connected and make sure you have your dashboard network settings (EVOX, XBMC etc etc) to STATIC = NO *only evox dash..
** You want to see if you have DHCP setup first. If your xbox doesnt get a ip address automatically then we need to setup a static ipaddress which will work on your NETWORK with the pc. SEE SETTING UP STATIC IP ADDRESS if you dont have DHCP enabled and need to setup a STATIC IP. 4. Check that you can see activity lights on both network cards.. The Xbox and your PC or ROUTER etc. 5. Once you have activity check to see if you have a IP ADDRESS in your dashboard settings anywhere.. Normally skins show on the main menu.. But you may have to change your skin to see it. 5. If you now have a ip address shown on your dashboard you can connect to it using any FTP program from your PC.. I suggest FLASHFXP, and any other freeware ftp applications..
thats it.. You can transfer files directly from your pc to xbox.. If you are still having difficulties please read on how to setup static ip. here is a example of what the ip config will look like..
- If your PC has a IP ADDRESS of 192.168.0.1 and subnet 255.255.255.0 your xbox would be: 192.168.0.2 192.168.0.3 or any other ip address in the similar range.. It could even be 192.168.0.200 if you wanted. - If your PC has a SUBNET MASK of 255.255.255.0 then your xbox should be exactly the same..
- Same goes for DNS Servers.. You have to copy down the pc info and put into your xbox. anyway, so now you should have something like this on your network. Its very simple to test if your xbox is talking with your pc on the same network. You can do whats called a ping request.. It will send a small packet of information accross your network to the specified ip adress.. Once the packet of data is received at the other end your xbox (in this case) will reply. 3. When the command prompt appears type 'ping IPADDRESS' where IPADDRESS = the ipaddress of the xbox.. eg. ping 192.168.0.1..
4. The ping will return some text with a reply time if the xbox is found. THAT INDICATEDS TO ME MY XBOX IS ONLINE AND READY TO FTP! 5. If you ping and receive no reply this means your xbox is not setup with a ipaddress and you will not be able to access it.. it could also mean you have a firewall enabled.. I would suggest disabling firewalls until you can get your ftp connection working and pinging. here is a example if my machine was not functioning on the network.. SOMETIMES FIREWALLS HAVE ALOT TO DO WITH YOUR PC AND XBOX NOT BEING ABLE TO CONNECT.. JUST TURN OFF TEMPORARILY TO TEST! Ill attach some nice screenshots to help you all too.. If you like this tutorial please reply in the forums and let us know.. 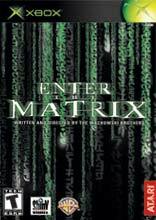 Enter the Matrix features awesome gunplay and spectacular martial arts that bend the rules of the Matrix, insane driving and stunts, and the chance to pilot the fastest hovercraft in the fleet. This g..